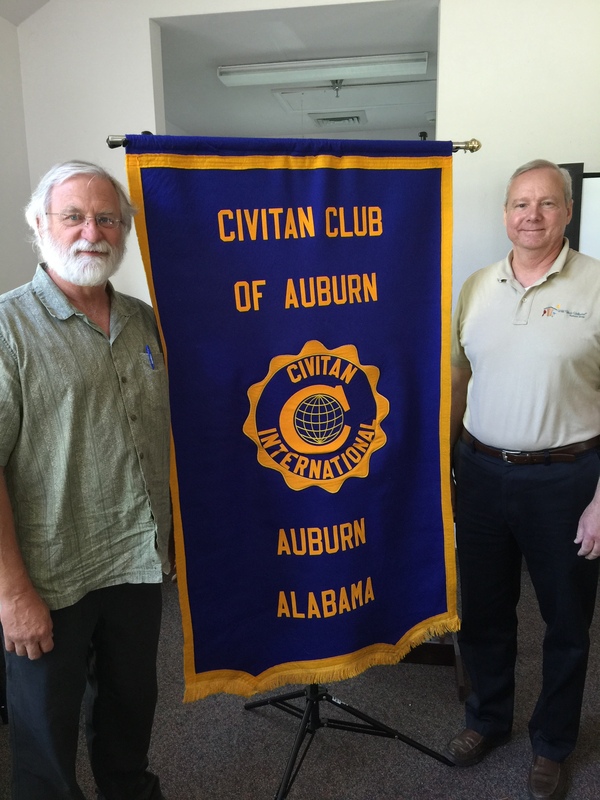 Hal Smith (r) of Auburn’s Wild Birds Unlimited spoke at the Auburn Civitan Club. Club President, Kirk Iversen (l) introduced Hal. Wild Birds Unlimited was the subject of the program given by Hal Smith of that company on May 2, 2015, for the Auburn Civitan Club. The Club met at the Eagle’s Nest at Monarch Estates. Wild Birds Unlimited is located in Flint’s Crossing Shopping Center across from Auburn Mall. They advertise the best bird food and the best feeders in town, also beautiful nature-related gifts. This entry was posted in Programs and tagged Auburn business community on May 13, 2015 by kviversen.